Semi-desert, foothills. Openings, woodlands. Spring. The light green, clasping, nearly vertical leaves and the flared-back flower lips are characteristics of this Penstemon. The basal leaves over-winter and are quite evident as one walks trails in the early spring. Flower color varies from lilac to pink. 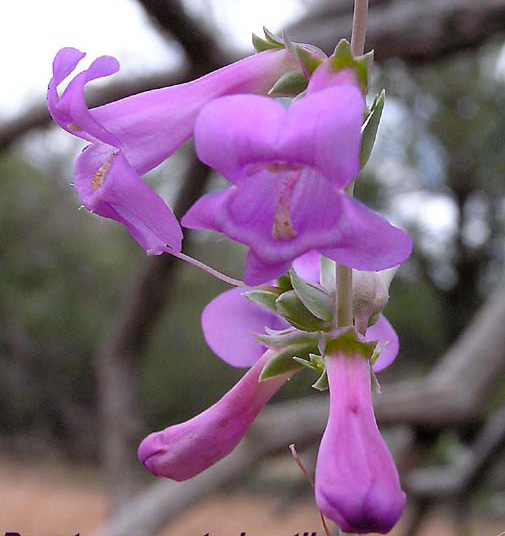 This species was incorrectly identified as Penstemon osterhoutii in the 2001 edition of Weber's Colorado Flora: Western Slope, but the 2012 edition correctly calls this plant Penstemon lentus.